This entry was posted in Committee News on May 14, 2018 by Deb Baum. 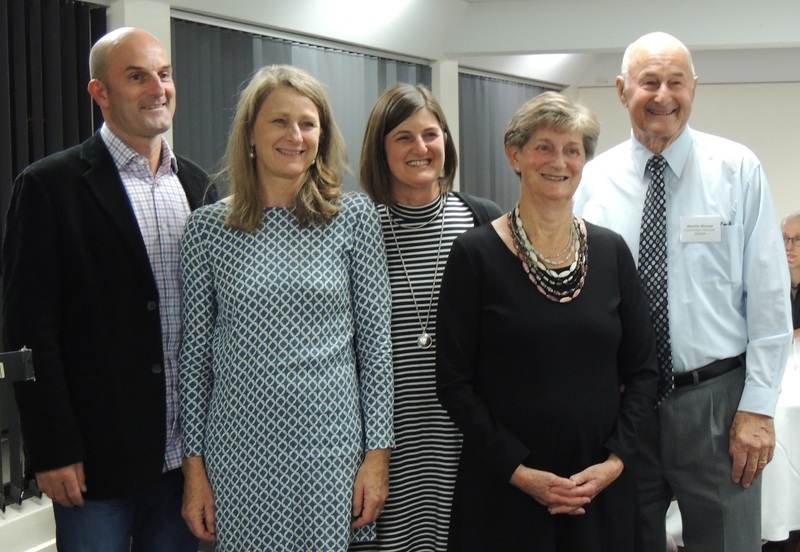 The Southern Australia Durum Growers Association facilitated an appreciation dinner for Neville Sharpe to acknowledge his contribution to the Durum Industry. An inscribed silver tray was presented to Neville during the evening. Neville was one of the pioneers in establishing the Durum industry in South Australia and approximately 60 guests attended to celebrate and reflect on the work and passion that Neville has undertaken over the last 28 years. 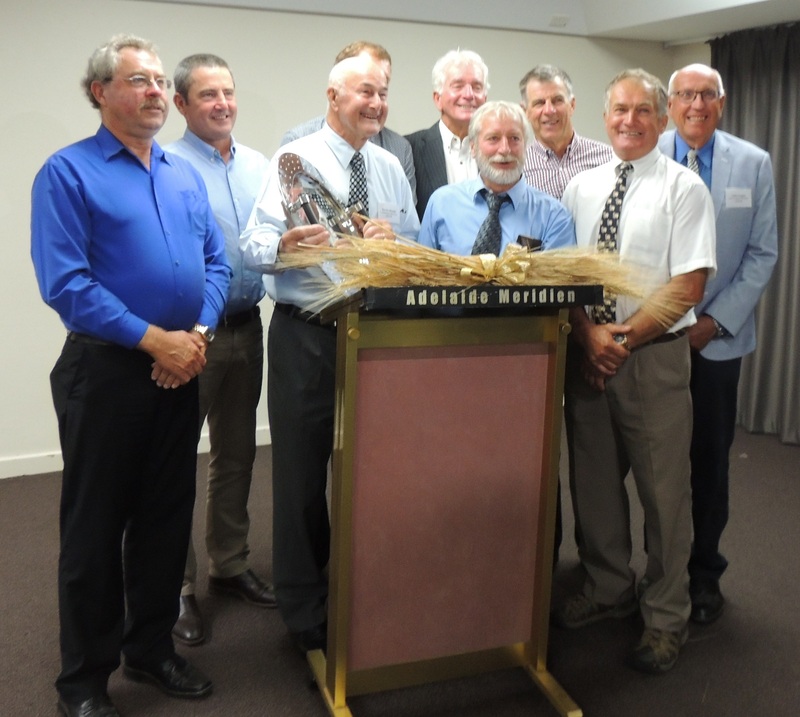 All the past Chairpersons of the Southern Australia Durum Growers Association were present at the dinner to assist Neville with the celebrations and to recognise his significant involvement, commitment and dedication to the Durum Industry in South Australia. Allan Kelly, John Rohde, Neville Sharpe, Michael Jaeschke (hidden), John Lush, Alwyn Dyer, John Green, Mark Hill, Leith Cooper. Neville with his wife Jeanette, son Matthew and daughters Bronwyn and Susan were able to hear many speakers, past Chairpersons, Harley Milling representative, Plant Breeder Dr Jason Able reflect on Neville’s contribution to the industry. 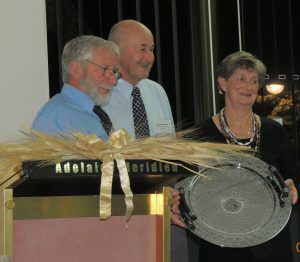 The Chairperson Alwyn Dyer spoke of Neville’s work within the Durum industry over many years. He highlighted that one on the major achievements was Neville assisting the industry work through contamination issues a decade ago. Neville during this period has been Chairperson, Treasurer and Seed Manager until recently. Current SADGA Committee with Plant Breeder Dr Jason Able and Neville Sharpe who is currently still a committee member. Mark McInerney, Dr Jason Able, Michael Jaeschke, Neville Sharpe, Adrian McCabe, Jan Crawford (Treasurer), Ben Hunt, Nick May, Alwyn Dyer (Chairman), Malcolm Eastwood, Simon Mildren, John Green, Ann Price (Secretary), Leith Cooper, Mark Hill. This entry was posted in Committee News on February 9, 2017 by Jan Crawford. The Southern Australia Durum Growers Association committee held its annual meeting on Monday 4th July and welcomed two new members onto the Committee. Simon Mildren from Mundoora, South Australia and Nick May from Balaklava, South Australia have replaced the retiring members Bruce Crawford and Chris Heinjus. The SADGA committee continues with Alwyn Dyer as Chairperson and Ben Hunt as Vice – Chairperson. Sponsorship Management continues to be ably undertaken by John Green with one of our new members, Simon Mildren supporting him in Research Management. 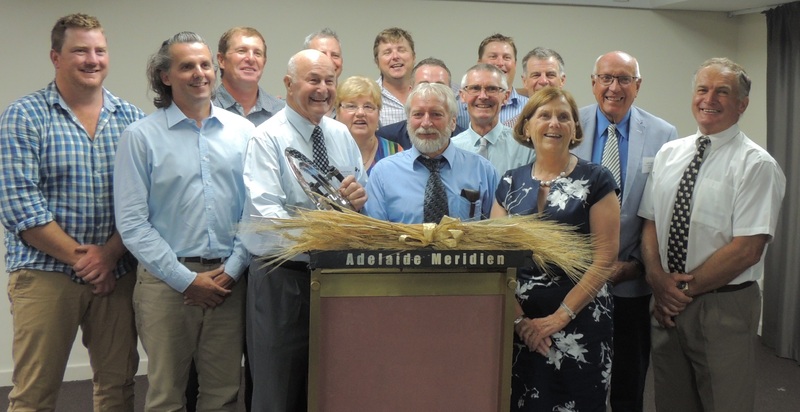 The SADGA committee acknowledged the huge commitment, time and dedication that Neville Sharpe has provided to the Durum Industry and also to the SADGA committee over the life of the industry in South Australia. Neville is stepping down from his position as Seed Manager from July 2016, but will continue on the committee working to promote Durum across Southern Australia. Seed Management has some considerable changes moving forward from July 2016. Jason Able – Wheat Breeder for University of Adelaide. All communication relating to the purchase and sales of Durum seed is to be referred to the Treasurer, Jan Crawford, Ph: 0419 812 810 from 1st July 2016. Other enquiries relating to Durum can be made to the Chairperson or one of the committee members. This entry was posted in Committee News on July 6, 2016 by Jan Crawford.